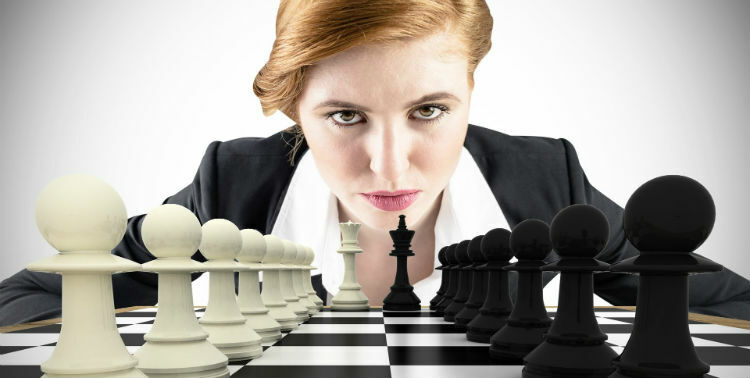 Women have certainly left their mark on the game of chess over the years, with these highly influential female players to thank for it. It’s pretty likely that most of the famous chess players you’ve heard of are men, but there are actually a lot of strong female players that are making their mark on the game in their own way. 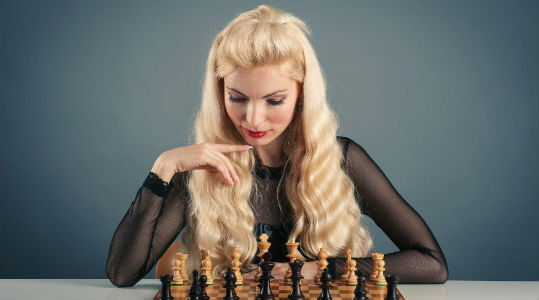 It’s not unusual if you can’t name any female chess players off the top of your head, since there are nearly 16 times as many men who play chess as there are women who play. 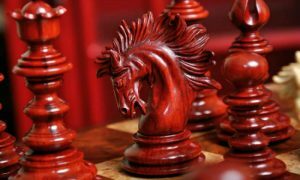 But, there are many names that are worth knowing, since female chess players have had just as much of an impact on the game of chess as male players have! 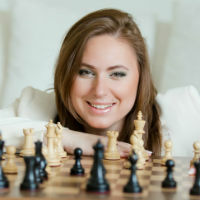 This article will introduce you to some of the best women chess players of all time, including Judit Polgar, Susan Polgar, Maya Chiburdanidze, Rohini Khadilkar, Xie Jun, and Vera Menchik. Judit Polgar is widely regarded as the strongest female chess player of all time. She achieved a peak rating of 2735 and earned the title of Grandmaster in 1991. At the height of her career, Polgar made her way onto several top 10 lists of best active chess players – male or female. She has never competed in the Women’s World Chess Championship, preferring to focus her attention on the open World Chess Championship. Her best performance there was in 2005, when she came in 8th place. 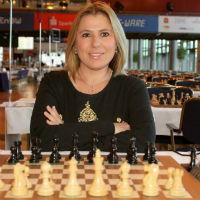 Judit Polgar is the only woman to have ever won a match against reigning world champion, and has defeated eleven total current or former world champions in either rapid or classical chess, including Magnus Carlsen, Anatoly Karpov, Garry Kasparov, Vladimir Kramnik, Boris Spassky, Vasily Smyslov, Veselin Topalov, Viswanathan Anand, Ruslan Ponomariov, Alexander Khalifman, and Rustam Kasimdzhanov. You go, girl! Susan Polgar is the older sister of Judit Polgar, and one of chess’s most famous female players. Like her sisters, she was a chess prodigy and later went on to achieve many prestigious titles. For example, Susan Polgar was the first woman to earn the title of Grandmaster through tournament play, rather than by winning the Women’s World Chess Championship. She was the first woman to qualify for the World Chess Championship (then the Men’s World Chess Championship) though she was not allowed to compete due to her gender. Maya (also spelled Maia) Chiburdanidze is a Georgian grandmaster, and the only chess player in history to have won nine Chess Olympiads. In 1978, she won the Women’s World Chess Championship by defeating the reigning champion, Nona Gaprindashvili, a fellow Georgian. She was 17 at the time, which made her the youngest Women’s World Chess Championship title holder until 2010, when Hou Yifan broke her record. 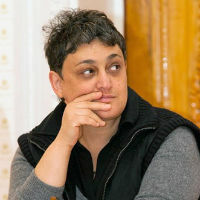 Chiburdanidze defended her title successfully four times until 1991, when she lost it to Xie Jun. Xie Jun is the Chinese chess player who ended Maya Chiburdanidze’s 14 year long reign in 1991. She was the star that signalled China’s ascent into dominance in the field of women’s chess. 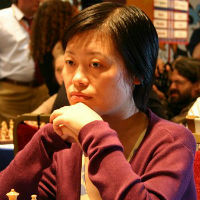 Xie Jun managed to defend her title until 1996, when it was taken by Susan Polgar – however, she got it back in 1999, when Polgar was unfairly forced to forfeit by FIDE. 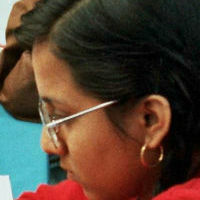 Rohini Khadilkar is the youngest of the famous Khadilkar sisters. She won the Indian Women’s Chess Championship 5 times and went on to compete in the 1976 Indian Men’s Chess Championship. Her participation in that event was highly controversial at the time, necessitating a decree from FIDE president Max Euwe explicitly stating that women could not be barred from men’s competitions. By participating in the Indian Men’s Chess Championship, Rohini pushed for equality at the chess table and opened the door for women all over the world to compete in a wider variety of chess events, and she was only 13 at the time! 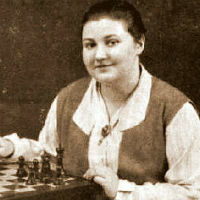 Vera Menchik is the original Women’s World Chess Champion, and the longest reigning champion to date. She dominated the first WWCC in 1927, and continued to do so in each of the 6 consecutive championships. She died, still champion, in 1944, when her promising career was cut short by a German air raid on Kent, where she lived. Menchik was truly ahead of her time as the first woman chess star ever. She achieved incredible results in her championship matches, coming out with a total of 78 wins, 1 loss, and 4 draws. Furthermore, in the 1929 competition at Ramsgate, she finished in a tie for second place with Akiba Rubinstein, and only half a point behind legendary chess player Jose Capablanca! That’s an amazing result, to be so close on the tail of someone who is widely considered to be the strongest chess player in the history of the game. Menchik was the pioneer who paved the way for all other female chess players who would follow her. 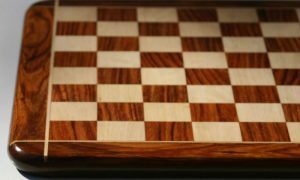 There are some who notice the disparity in chess performance between men and women and assume it is due to an innate biological difference. This is actually not the case. 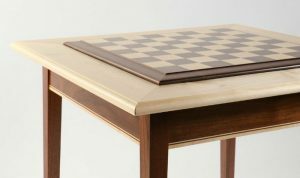 Men don’t instinctively know there way around a chess board better than women do. The difference in strength scores and performance between male and female chess players stems from the simple fact that there are far more male players than there are female chess players. 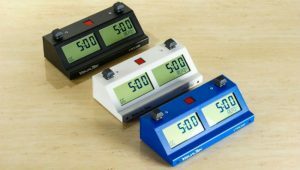 It is a matter of statistics. A study conducted by Oxford University’s Merim Bilalic confirms this, showing that, given two groups of equal skill but unequal size, the top performers will almost always come from the larger group, simply because it is larger. Bilalic studied a data set comprised of all known German chess players – over 120,000 individuals, of whom 113,000 are men. He compared the top 100 players of either gender and used a mathematical model to determine the expected difference in their Elo ratings, adjusting for the size of the groups they belong to. What he discovered was that the greater proportion of male chess players accounts for 96% of the difference in ability between the two genders at the highest level of play. If more women took up chess, you’d see that difference close substantially. 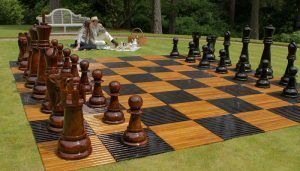 So, in order to see more women chess players at the highest levels of play, we need to teach young girls chess! 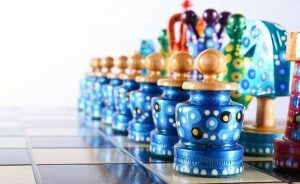 If girls were taught to play chess at the same rate as boys, we would see similar participation levels, similar numbers of chess prodigies, and similar numbers of chess champions from each gender. The Polgar sisters were taught in this fashion, and they rose to become top stars in competitive chess. Imagine what would happen if we taught all children chess! Your analysis of the difference between raw chess ability of men and women is deeply flawed. It assumes that the group of people who play chess is a random sample of the entire population but this is false. People play games they are good at. 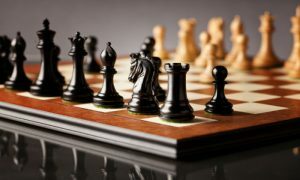 The group of people who play chess regularly will be heavily weighted to those who are good at it. This makes it impossible to determine using the method described to what extent the far larger number men who play chess is due to the fact they are just better at it or due to the fact that they are more encouraged to do so.